Hey Anquan, What Do You Think Now? As I was watching the Jets win in overtime, and still absorbing the Bills win over the Falcons, I had a thought. We don’t know jack about the NFL. Fans, media, TV talking heads, ex-coaches. Nobody. Find me anyone who thought the Bills were going to be this good early. Find me anyone who didn’t take the lazy way out, and repeat the Jets “tank” talk. Look at both now. The Bills are in first place in the AFC East at 3-1, the Jet are tied for 2nd at 2-2. I tweeted a milder version on my revelation. When I answered back that Jordan Matthews hurt his hand and had a cast on, Sully’s response got my brain working. Yes Sully, you’re right! I don’t question that Anquan Boldin’s intentions to work towards social injustice are the real reason he retired. But if there was even 5% of the decision based on thinking the Bills would not be good this year…..
Shame on you, Anquan. You should know better. As a veteran player who’s been on multiple teams and won a Super Bowl, he should have learned that there is no predictability in NFL. Every year, teams go from last place to first place, and from first to last. 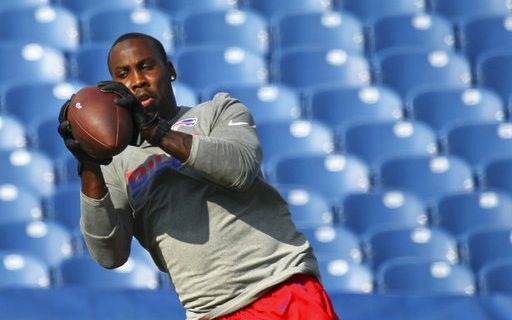 The Bills still hold Boldin’s rights. There were some whispers/reports that there was some interest in coming back with the Patriots. That was never confirmed, and nothing happened because the Bills would be able to block any attempt to return with another team. But if Matthews is seriously hurt, you wonder if Boldin would consider returning to the Bills? Again, I have no reason to doubt that his retirement was permanent and he’s off and running on trying to change the world. I did see him appear on ESPN’s NFL Countdown, so maybe that’s where he’s starting. But Boldin’s story is just a specific example of how we can’t get too worked up on what we think about an NFL team. Bills fans will tell you that. Jets fans too. Raiders fans will certainly tell you that. I know it’s just four games, and a lot can change. It usually does. But for now, enjoy being pleasantly surprised. Bills fans, you’ve earned it.